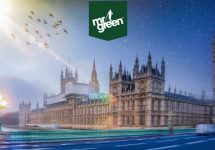 Mr. Green – Yggdrasil Christmas Day 28 – 31! Mr. Green has most definitely the longest running Christmas Calendar in 2016. Starting on 17th November 2016 it will continue until 8th January 2017. That is a whopping 53 days filled with €350,000 worth of promotions such as Free Spins, Raffles, Cash Drops, Tournaments, exclusive Holiday Vouchers, tons of iPhone 7’s and other gadgets. A haven for rewards, competition and gifts chasers. 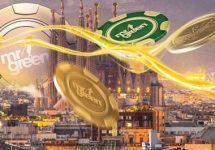 Part of the calendar was a daily tournament on Yggdrasil slots with prize pools ranging from €4,000 – €12,500 per tournament. The utmost part did not require minimum bet sizes, hence making them accessible to all player and giving everyone an equal chance of winning some awesome extra cash. There are still 4 tournaments scheduled until 31st December 2016 and today is a mission tournament where players have to complete 3 tasks in the fewest possible spins. The winner will walk away with cool €2,000 in cash. Join the fun in the next 4 Yggdrasil tournaments at Mr. Green to win your share of €31,500 in cash. Taking part couldn’t be easier, just play some of the most popular Yggdrasil slots, either complete some missions, score the highest single coin win in one spin or be randomly chosen for a Cash Drop. There is a different type running every day and prizes are all cash, no wagering requirement.